The easiest way to get between Disneyland and San Diego is the way the locals do: get in a car and drive. The route is simple: I-5 runs between the two cities and it's about 100 miles each way. I-5 is the only practical route to get into Orange County, but once you get there, the local freeway network gives you lots of options. Don't rely just on the few options your mapping app gives you - instead, look at traffic patterns between your starting point and destination to find one with less stop-and-go. If you shop around for a low rate, car rental will be your cheapest way to make the trip, especially if more than one person is traveling. Often, even one-way rentals between San Diego and Anaheim are very inexpensive. Van-type shuttle services like Super Shuttle and Prime Time Shuttle only run between airports and hotels or private residences and can't be engaged to go from a hotel in San Diego straight to Disneyland. Uber is also a possibility for making the trip, but rates are quite high, even if you have a vehicle full of fellow passengers. Amtrak is the only train service that runs between San Diego and Anaheim. Their Pacific Surfliner route runs between Old Town or downtown San Diego and the Anaheim Regional Transportation Center, about two miles from Disneyland. Get fares and schedules at the Amtrak website. From the Anaheim transportation center, you can get a bus or taxi to Disneyland. Besides Orange County Transit buses, you'll also find Anaheim Resort Transit (which is what you'll most likely take to get to Disneyland from there). If you're arriving at San Diego Airport and going straight to Disneyland to start your vacation, ask for directions to Airport Station. From there, take San Diego MTS Route 992 bus to Amtrak's Santa Fe Depot downtown. Greyhound bus lines run from downtown San Diego (near the baseball park) to the Anaheim Transportation Center, with stops in Oceanside and Santa Ana. They take less than 2 hours and are very reasonably priced, especially if you buy your ticket online in advance. Tufesa bus line (which can be reserved through GotoBus.com) runs one bus a day between San Diego and Anaheim, at a reasonable price. It takes about 2 hours. Their stops at 2320 Harbor Blvd near the Disneyland entrance and at Seaport Village in San Diego make them more convenient than others, without the need to transfer to another bus to reach your destination. You can get bus tours that will take you from Anaheim to most of the big attractions in San Diego and take you back to Anaheim the same day. They pick up at most major hotels and usually 10-11 hours. For most of them, the price of an admission ticket is not included in the tour price. San Diego and Orange County both have airports. If you search online, airlines will even offer flight options between them, but none are practical. There are no direct flights and you could end up paying hundreds of dollars, taking 5 to 10 hours bouncing around and making connections to travel just 100 miles. 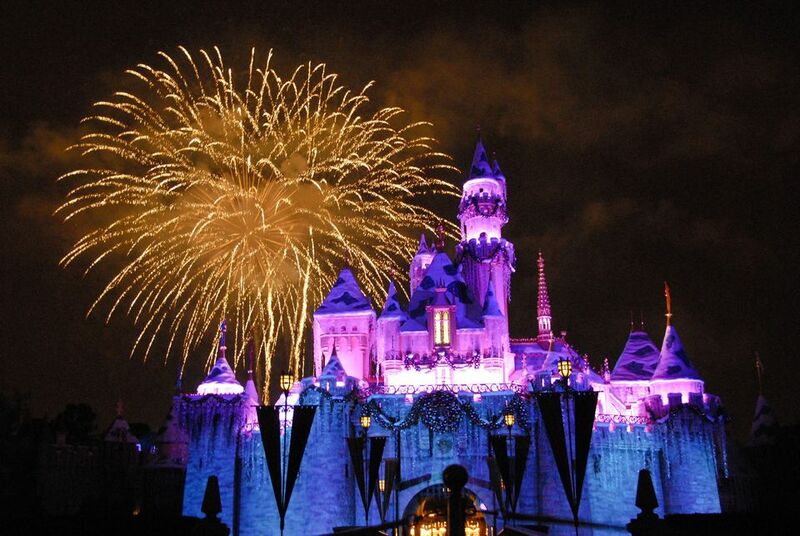 A few companies offer a day tour to Disneyland from San Diego. It sounds like a good idea if you're just going for the day, but take a closer look and you'll see why they're not. Their rates are even higher than using Uber and your time at Disneyland is limited by their schedule. San Diego Tours and Gray Line San Diego also offer day trips bundled with Disneyland tickets, but they're also expensive and restrict the time you spend at your destination. During off-peak times, they may not run every day.